One of the best views in Copenhagen. 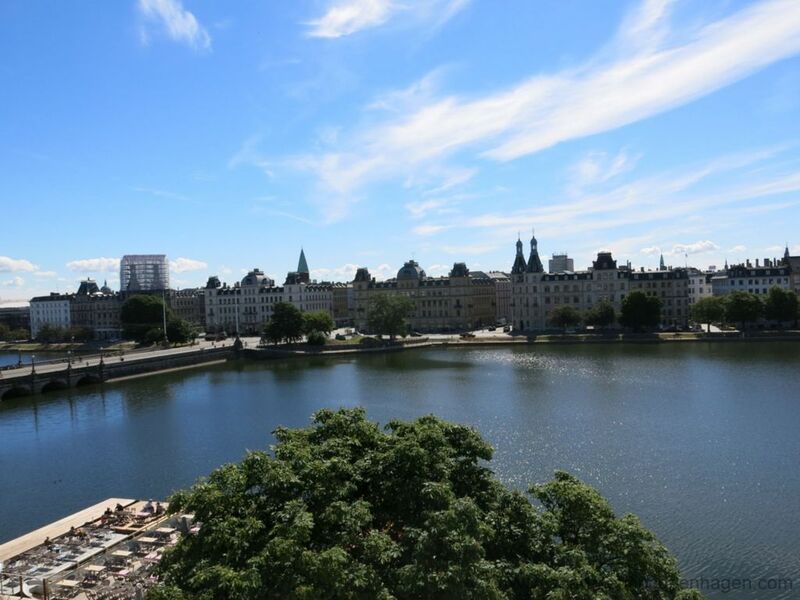 Great apartment just by the Copenhagen Lakes offering a stunning view from the balcony across the lakes. See the pictures. Accommodation for six people distributed between three bedrooms. The apartment has two floors. This apartment is located on Nørrebro, but also very close to Frederiksberg, Vesterbro and the City Centre. You are close to Tivoli, Strøget and the Copenhagen City Hall. All these locations can be reached on foot. Only 350 metre from the apartment you will find the street ‘Nansensgade’, which is a street loved by the locals for its restaurants, cafés and small shops. Normally we would write about the neighbourhood, but this apartment is close to everything including: Vesterbro, Nørrebro, Frederiksberg and the City Centre. Amazing view - Amazing apartment. Hall, sitting room, combined dining room and kitchen. Direct access from the sitting room to the balcony with extraordinary view across the lakes. Bedroom with sofa bed that can accommodate two people. The bathroom/toilet is located in connection with the bedroom. Apart from this, there is a bedroom with a double bed with access to the balcony facing the yard. The apartment has an older combined toilet and bathroom. Bedroom with accommodation for two people. Wi-Fi, TV with international channels, dish washer, combined washing machine and tumble dryer, Apple TV, Playstation 3. Fabulous apartment however cleanliness left a lot to be desired - dirty pots, very dusty all around! Great apartment in a fab location however the overall cleanliness of the apartment was very disappointing - obviously not been cleaned thoroughly in months - not sure where the compulsory cleaning charge is being spent but it's not on cleaners!!!!. I appreciate that this is someone's home however owners clothes/shoes/makeup etc took up the majority of wardrobe & draw space so couldn't unpack very well - in fact we didn't!!! The majority of the lights also didn't work and I think there is a wasp nest under the floor in the main bedroom - 15 wasps a day in the room isn't good. Just back from a fantastic week in Copenhagen where we stayed in this wonderful apartment with my husband and 4 daughters. Great location, beautiful views. Apartment very homely and comfortable. Large attic room upstairs and 2 large bedrooms downstairs. Only one bathroom which is through one of the bedrooms but didn't cause us any hassle. Great place to stay and would definitely stay again. Very fine property, with a good view on lakes. A great comfortable apartment in a great location with a beautiful view. You have to climb 5 floors with all your luggage. The bathroom is very small and accessible only thru the third room. We had many spiders in the attic. Having spent a week cycling around North Zealand and staying in hotels we were really looking forward to our stay at No.14. 'Super View' and we weren't disappointed. A very stylish and comfortable apartment with everything we needed. The climb to get there made coming 'home' all the more enjoyable.Don't be put off by the 'attic mattress' photograph, we slept very comfortably there and enjoyed being close to the stars with a comfortable breeze to cool us. We were a group of 4 adults and two children and the only potential pinch point came around use of the bathroom but that was a minor issue given our pleasure with the rest of the apartment. Couldn't have been in a better spot (it really is central to everything) and those views were breathtaking. We all loved just watching the city move through the day. This is a really lovely apartment in the Norrebro district. It is in a great location for everything and has a very community feel. There are lots of friendly local bars and restaurants very close to the apartment and the Torvehallerne food hall just across the lake is a great place to buy fresh produce or lunch and a beer. The apartment is very well equipped, with a TV/Stereo etc and is bright and spacious with a lovely kitchen and lounge area. Note it is on the fourth floor of the building (hence the great views) and has no lift. Also, there is only one bathroom and this is accessed through the third sleeping area. So the apartment can accommodate 6 people but the third room is probably more suitable for children or those not disturbed by others using the bathroom at night. That said, we had a wonderful time in Copenhagen and the apartment was very comfortable and welcoming. I would definitely recommend a stay here - just for the view.